So I moved my tears to ensure as close to line of sight with the main bar as possible. My furthest rear is only about 9 feet from the bar. So far, just minimal interference (I’m talking a couple of seconds in one programme and a few nights of TV, Blu-Rays etc with no issues at all. I’m pretty impressed so far. Guys, I have good news. I found the cause of the crackles. I will recheck everything and write a solution next week. UK user here, had the system a couple of weeks; like others on here mine is factory refurbished. Firmware 103. From day one I have been plagued with squeaks and chirps from the right surround and crackling from the subwoofer. The only solution I have found is to unplug the subwoofer entirely - clearly this is not ideal, but it has stopped the noises from the rear speaker. It's incredibly frustrating as the system can sound brilliant - even more frustrating is the lack of consistency in the problems; it seems to stop depending on the TV channel I am viewing and I have had no problems when playing gaming consoles. Reading these threads has been most concerning. I could not recommend this system in its current state. Guys, my tests are complete, and I want to share a solution with you. Like many of you, I was tormented by crackles, mostly from the rear right speaker. Having exhausted all my patience while waiting for the new firmware, I decided to disassemble the rear speakers. I found a small electronic board (I detached it from the mainboard). 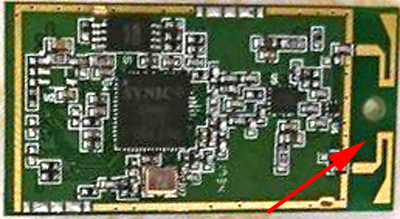 This board is responsible for receiving the signal from the soundbar. I swapped this small board in the right and left rear speakers. As a result, my right rear speaker now sounds great. No more crackles or popping. But problems have moved to the left rear speaker. I conclude that the problem is not in the firmware, but in the quality of the assembly (manufacturing defects). And this is a factory scale problem, not a single instance. Then I disassembled the subwoofer and found the same small board there. I swapped it with the left rear speaker. Now both of my rear speakers sounds great. This replacement has no effect on the sound quality of the subwoofer. The system as a whole is now working well. 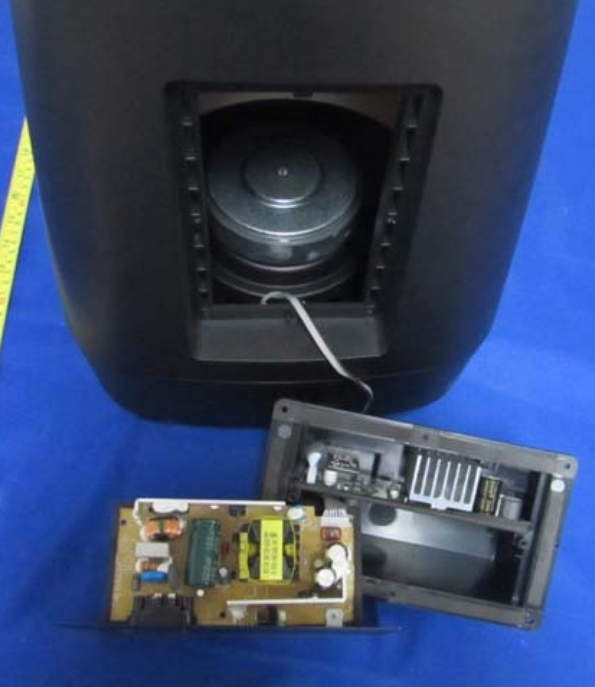 Now very rarely in the left rear speaker occur crackles (1-2 times per movie and not always). Perhaps this is due to the fact that the subwoofer is very close to the soundbar. If possible, increase the distance between them to 3 feet. I hope this solution fixes the problems and you can enjoy watching. I want to note that the board, which is installed in the rear right speaker, is different in color and placement of markings from the one that is installed in the subwoofer and rear left speaker. If I have understood you correctly, the popping and crackling of the speakers depends on a stroke of luck, which version of this small board is installed? Bagi, theoretically - yes. Unfortunately, this is only a guess (the reason may be something else). I do not have the technical ability to confirm this. But moving the board helped me get rid of the crackles. First of all, Thank you Ecliz I will try this myself when I get a moment (fingers crossed). I almost did but decided on Polk because of Brand recognition, guess I made a mistake. 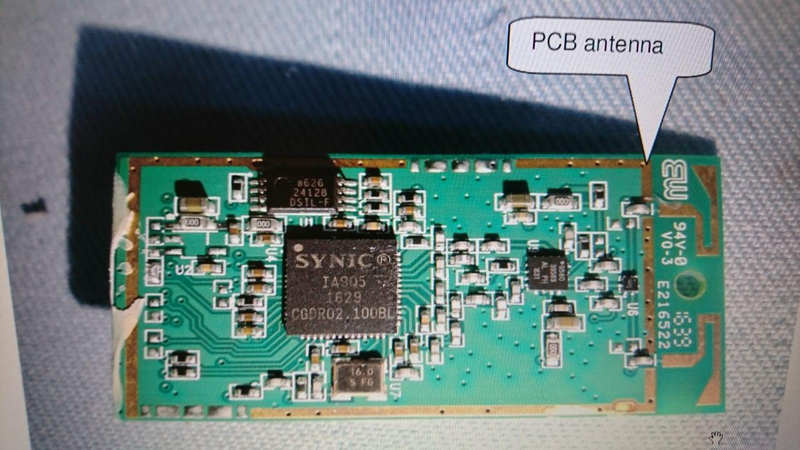 Ecliz, do you think there is a way to boost the reception of the boards you swapped around some how? Looks like the gold ring around the perimeter is the antenna? 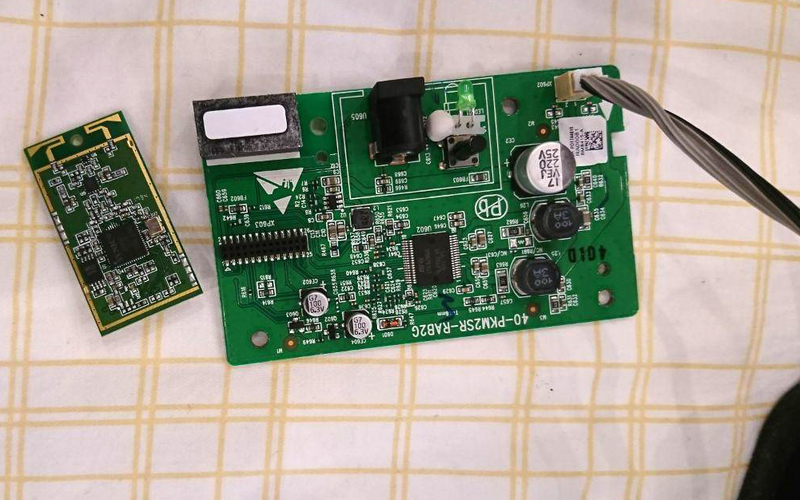 do you think there is a way to boost the reception of the boards you swapped around some how? Yes, there are 2 antennas (2.4 and 5 GHz) as I understand. 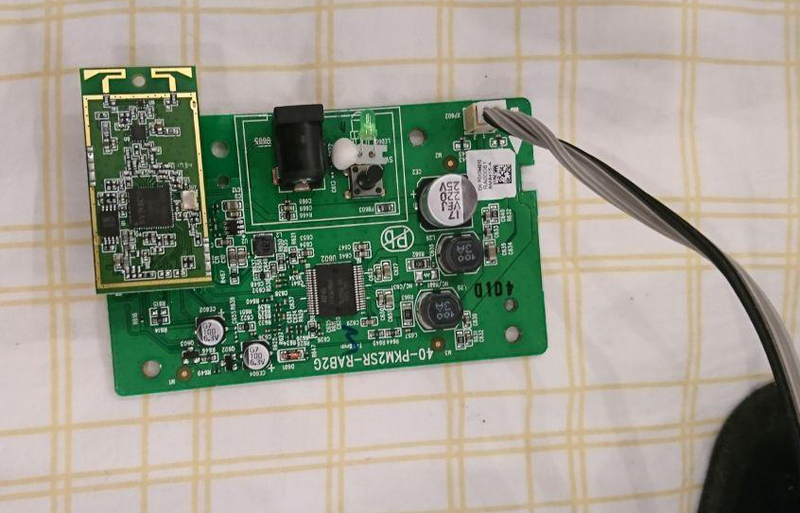 I thought to solder my old antenna from the Wi-Fi router. But after swapping the boards the sound quality suits me. Therefore left it for a while. May be worth a try? First, swap the boards. If it does not help, then you can think about the antenna. I just checked the boards version. They are all v2.2. One of them is slightly different in color and marking. But this is the same board. Perhaps it is from another batch of goods. Did you see any opportunity to send your results to the polk support? Perhaps it will help them to find a software-based-solution. But I don't really need the answer. My MaxSR is almost perfect now. No cracklings over the past days. Absolutely none. I don't see any reason to wait for a solution from the Polk . Swapping fees takes 15 minutes. Only need a screwdriver. According to my information, the Polk is not currently developing new firmware for MaxSR. You can wait a long time. Is there no concrete assignment with the boards and the speakers? I mean, does the right rear speaker still gets the right rear audio track? 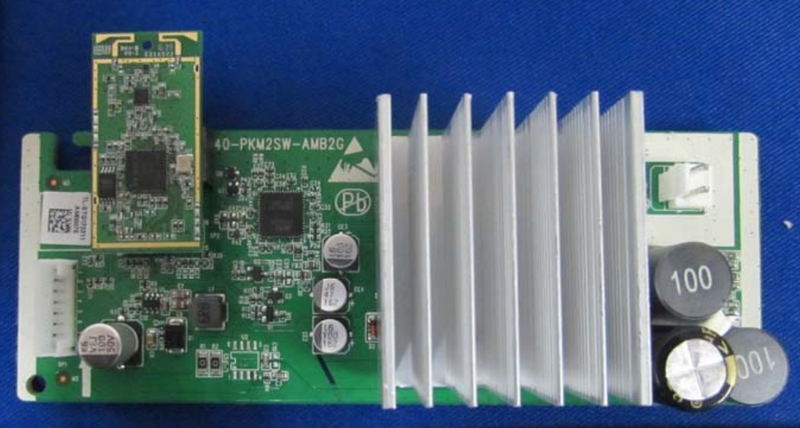 These little boards are just antennas. For the left and right channels are responsible for large boards. On the back side of large boards there is a marking "L" or "R". That's interesting that the one little chip is different. I'm curious now if some people got a "bad" batch of systems? Ever since version 103 I have had little to no issues. I am no hearing any crackle noises that you guys describe, but I am hearing chirps in the surrounds occasionally with certain TV channels and I've found it to be ones that do not play any audio out of the surround speakers. I finally was able to get ahold of Polk Customer service yesterday after numerous tries. Good news is that they say they are in the process of testing a new firmware and depending on results, would release soon. Whilst I applaud your efforts I do not expect and will not be carrying out the need to rip apart my expensive purchase and modify its innards. What a joke. Polk should be reading this and sorting it for all. My speakers are still pretty good which is positive. If you connect soundbar to router by wire, it will update without needing the (very twitchy) Google Home app. Or do you need to do something to sort it? If you're connected by wire, the soundbar will update by itself. Unfortunately, you won't be able to confirm the update is there without the Google Home app. Good thing the GH app has been fixed (couldn't see update version) and also updated, so it's a lot more accessible. Just want to give you all hope. I emailed one of the contacts at Polk listed on one of the previous pages of this thread. Didn't really expect to hear anything back. After a few days, someone contacted me from their parent company letting me know that Polk technicians are hard at work trying to find a solution to the chirping and crackling coming from the back speakers. I bought a refurbished system directly from Polk via Ebay around Christmas. They asked if they could push their latest beta build of the firmware to my soundbar... I literally had nothing to lose... so I agreed. That evening, firmware 108 was installed on my soundbar and haven't heard a chirp or pop since. FINALLY!!!! It's been two weeks now. I tried the media that always caused chirping and nothing... no birds in the speakers. I didn't want to post anything here until I knew it was gone. They mentioned that 108 would be released in a few weeks... which was a couple of weeks ago. So hang tight, it's gotta be released pretty soon. How did they download the firmware to your device? By serial number? P.S. This is great news. Many owners of MaxSR have already lost hope. My v103 is absolutely spot on now. No issues at all. Hope v108 doesn’t muck it up!!! I gave them my Mac# on the back of the soundbar and they said it would go into their queue to push to my soundbar during the evening. And the next day, sure enough, it was installed. How do you contact Polk ? do you have the email adress for support ? Nobody to help me ? Send an email to [email protected] and he'll help. KennethSwauger, do you know when Polk will release 108 firmware? Polk is aiming for Thursday, the 14th, next week. It will most likely be v112.